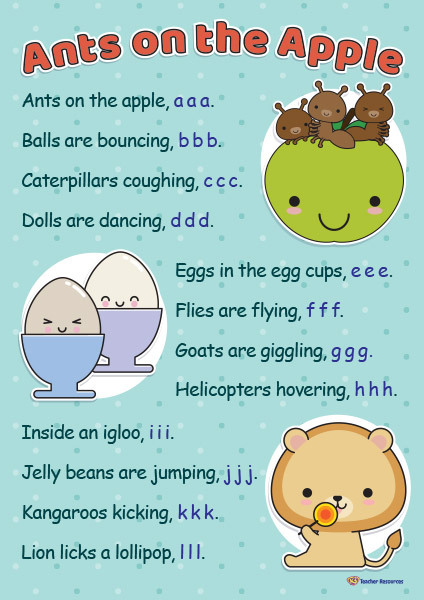 Use this resource when teaching phonics and the letters of the alphabet. Select the font and color option required. Print and laminate the 2 page poster. Rehearse and enjoy reciting the poem as a whole class.